THE SPECIALLY FORMULATED WASH AND WAX SHAMPOO IS DESIGNED TO DELIVER MIRROR-LIKE SHINE AS YOU WASH YOUR CAR. GENTLY LIFTS AWAY DIRT THAT CAN CAUSE SCRATCHES AND SWIRLS AND LEAVES BEHIND DEEP GLOSS ON YOUR CAR. MIX ONE POUCH IN 3 LITRES OF WATER. ALWAYS FOLLOW TWO BUCKET SYSTEM TO WASH YOUR CAR. USE MICROFIBER TOWEL TO DRY YOUR CAR. 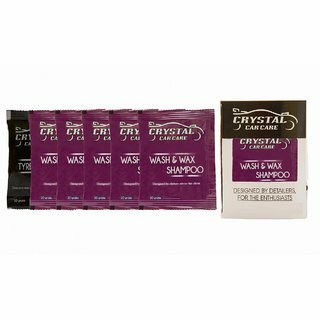 FOLLOW WASH WITH CRYSTALS WAX FOR BEST RESULTS. 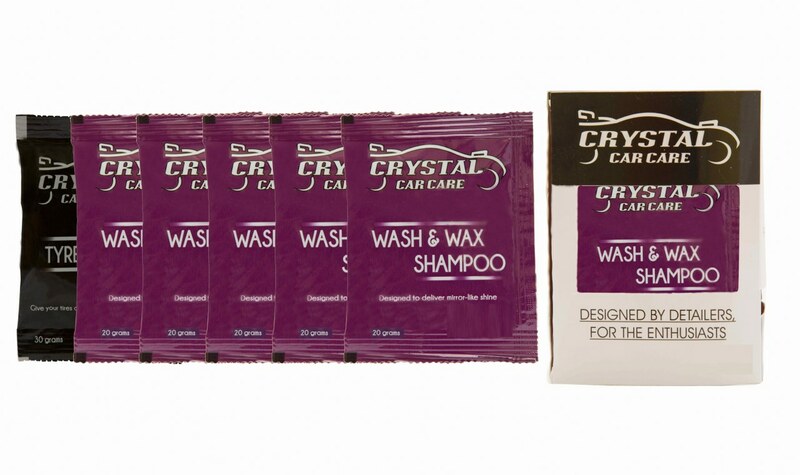 PACK CONTAINS 5 SACHETS OF CAR WASH & WAX SHAMPOO AND 1 SACHET OF TYRE SHINER.